Thanks to guest blogger and festival organizer Adam Bentley for contributing this blog! There’s something mythical, other-worldly, and magical about being able to watch movies on a screen made entirely of snow. Graham Whatmough’s snow screen in Fort McMurray. The International Festival of Winter Cinema is a new family-friendly film festival held as part of the Silver Skate Festival that recognizes and celebrates local and international cinema with winter, alpine, and polar themes of any style or genre. 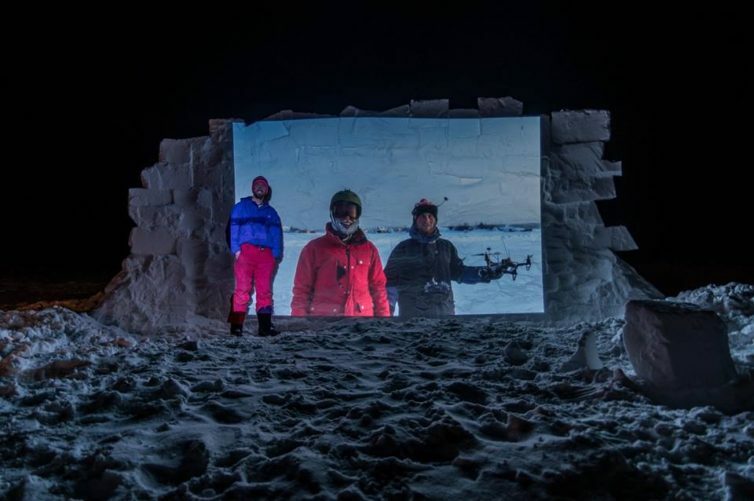 Most exciting of all, we’re projecting our films on a giant snow screen! Event nights will be February 9, 10, 16, 17, 18 at 6:45 PM right before the fire sculpture burn. The idea for a winter film festival first came to me three years ago when I found out that, while there is a Winter Film Festival in Los Angeles and the Tromso International Film Festival shows general films on snow screens, there is no winter city anywhere in the world with a film festival specifically created to celebrate winter films. I let the idea percolate for some time until I visited Reykjavik last Autumn. During my visit, I came across the Reykjavik International Film Festival. That year’s Festival was a celebration of Canadian cinema, including winter films. Seeing all the winter films made me realize that even though filming outside in winter can be a pain, winter has its own aesthetic, narrative, and character elements on camera. Those filmmakers, actors, and crew who produce their films outside in winter, standing for hours in bitter cold and darkness, should be celebrated for their achievements. Eat some tasty snacks from the Silver Skate Festival. Warm yourself next to Winter City’s signature fire pits. Come enjoy a night of films on the big snow screen! 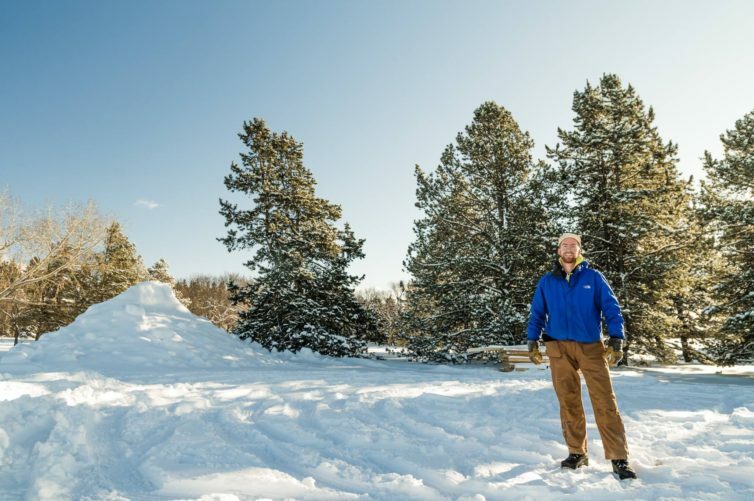 Graham Whatmough gets ready to build the snow screen in Hawrelak Park. Follow us on Instagram and Twitter for daily updates to see progress on our snow screen construction by the remarkable Fort McMurray snow screen builder Graham Whatmough. Thanks to our sponsors: Winter City Edmonton, the Silver Skate Festival, Avenue Magazine, FAVA, ATB Financial, Pogo Carshare, Revolution Cycle, Chianti Cafe, #yegfilm, and Where the Highway Ends.